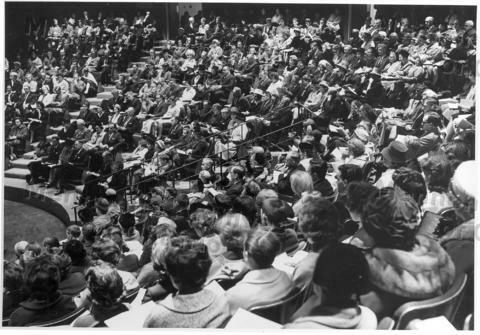 Audience at the inaugural ceremony of CGC, Oct. 25, 1964 in the U. of Waterloo, Theatre of the Arts. C.F. 1984- 1.162 where the audience is shown with Winfield Fretz speaking on the platform. Conrad Grebel University College - Anniversaries, etc.